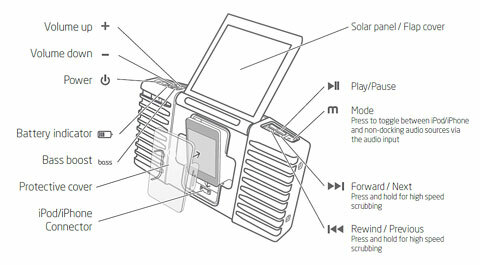 I thought that I was already getting the maximum enjoyment from my iPod but by adding the small portable sound system by Eton called “Soulra” I now have the ultimate listening pleasure. 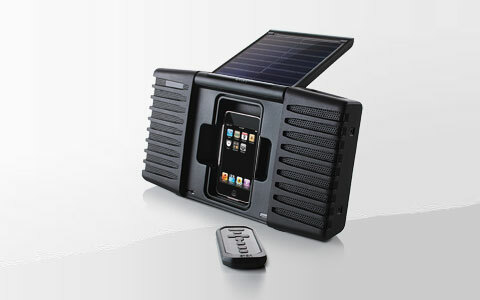 The unit has a built in solar panel which does a great job of providing power to both charge my iPod and to play music at the same time. If my iPod is fully charged before attaching to the player it is possible to get at least 4 hours music time. The battery charge indicator allows you to see the battery level so you know when to put it back in the sun or plug it in for a quick charge. The solar panel is exposed by lifting the cover and the whole unit is splash proof – no problems taking it to the pool or the beach. 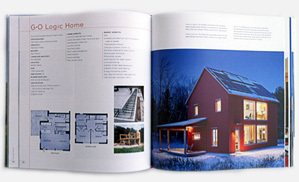 Included are remote control and AC adapter so that the unit can be connected to the mains electric supply. 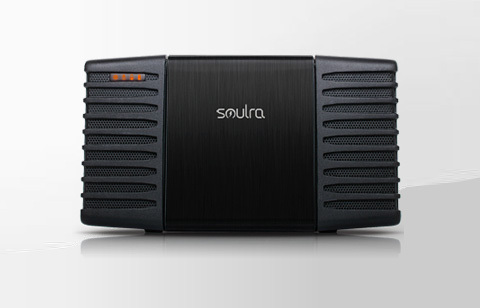 The market seems to be flooded with add-on units for the iPhone and iPod but the Eton Soulra Sound System is well made, produces great quality sound and the solar system gives absolute mobility.